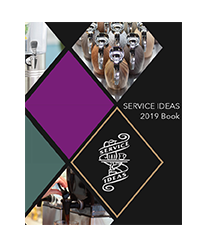 Several exciting new products were just revealed with the launch of the 2019 Service Ideas Catalog. 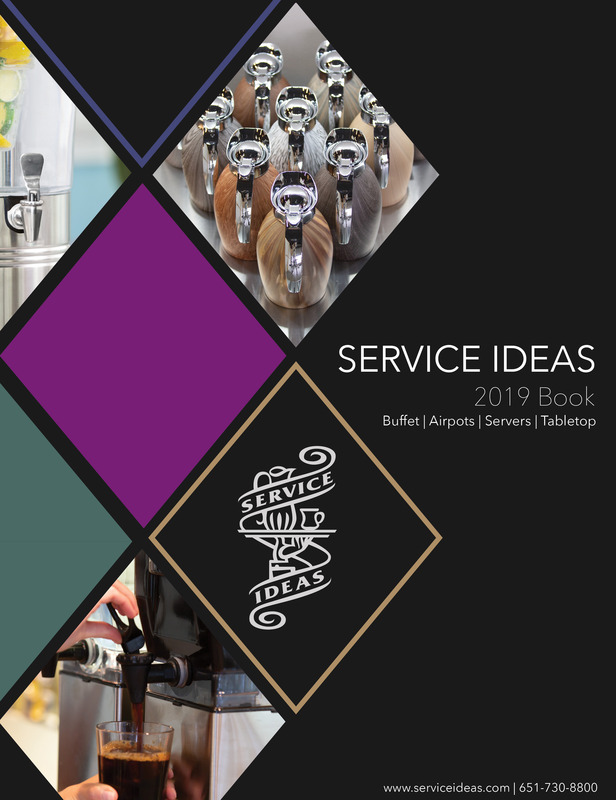 Each of the new products sets out to make the lives of food and beverage service professionals easier and allow them to shine at what they do best—delighting people with food and beverage. 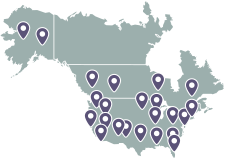 For over 73 years, Service Ideas has been a brand that strives for quality and stands out among other manufacturers. That's because every new product we develop begins with the question, "how can we be better? ", and then manufactured to ensure it meets our customers expectations in both quality and price. Now you can brew large batches of cold brew coffee without compromising style. 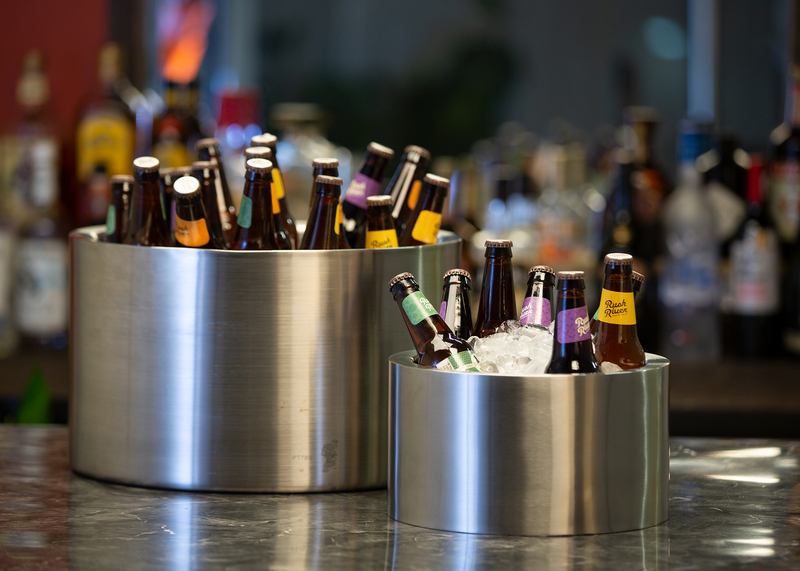 A simple yet innovative brew basket turns our Rectangle Cold Beverage Dispenser into an all-in-one cold brew coffee maker and dispenser. 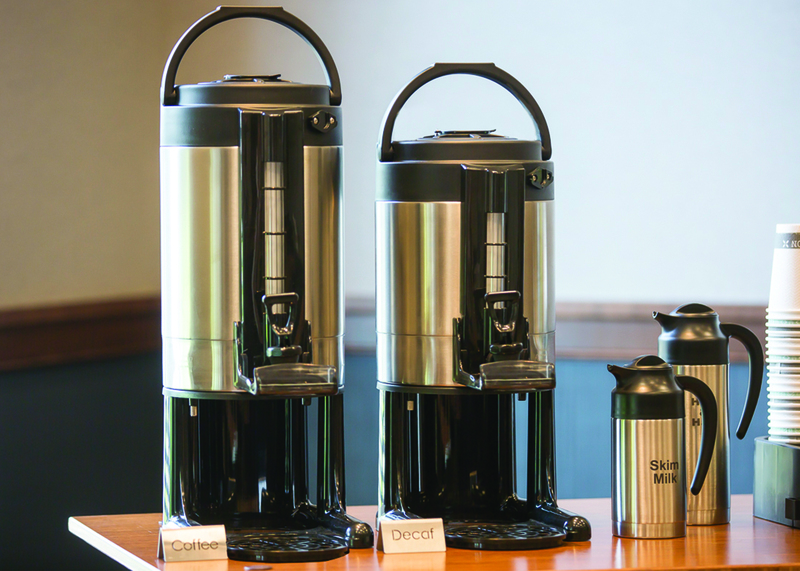 The Cold Brew 'N' Serv™ System is designed to brew up to 3 gallons of cold brew coffee with minimal handling for a sanitary and mess-free process. The entire unit is NSF listed to assure it's been constructed in a way that promotes food safety in commercial applications. To use, simply fill the patented brew basket with filter packs or loose coffee grounds and set inside the empty dispenser. Cover the grounds with cold or ambient water and let steep for 12–36 hours. Once you have achieved your desired brew strength, lift the basket up and out and let the grounds drain back into the dispenser. 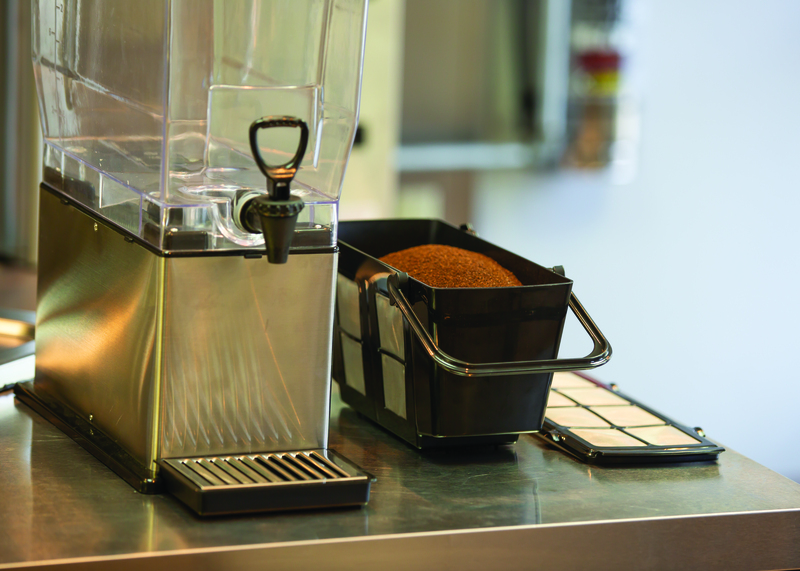 You'll be left with a full dispenser of cold brew coffee, ready to serve directly from the vessel it was prepared in. Watch this video to see this process from start to finish. 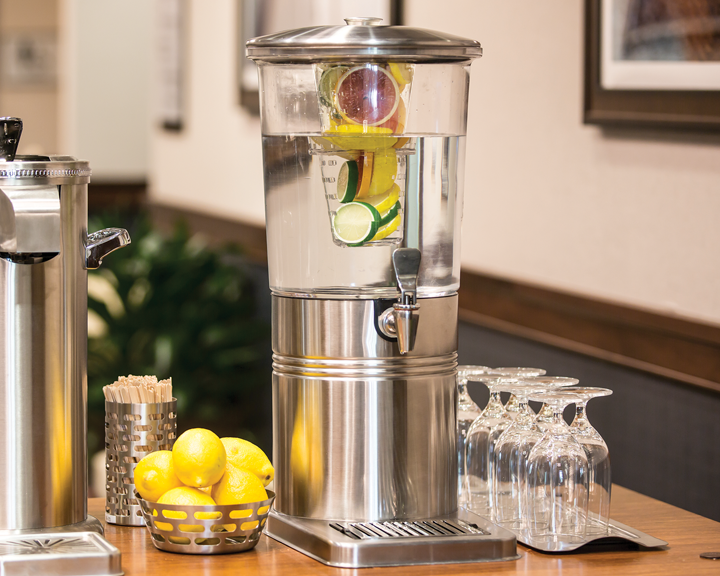 Meet the Levigo Beverage Dispenser, our newest dispenser that combines a smooth cylindrical body and a sleek stainless steel base that adds style to any hydration station. Coming soon with an optional stainless steel spigot. Serve up refreshing summer flavors by adding fruits and herbs to the infuser tube and have your guests feeling delighted and papered with just a simple glass of water. Learn even more about the new Levigo Dispenser here. Our Thermal Containers have continued to prove themselves in the coffee industry as an affordable solution for large-volume coffee service. We've made some improvements to our original design this year to make them even more user-friendly and more universal to common brewers in the field. Now the entire unit is both slimmer and shorter, to fit under even more brewers without losing any volume. 1-, 1.5- and 2-gallon capacities are still available in the new compact style. The redesigned locking faucet and open base, allow the operator to more easily drain leftover contents into the sink after use. Simply set the unit at the edge of the sink, flip the faucet into the locked position, and walk away as the contents empty down the drain. 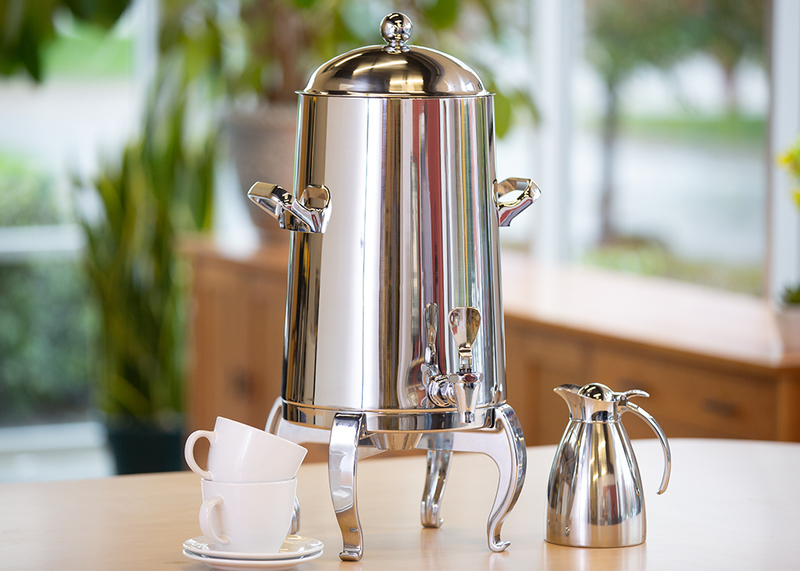 Our Flame Free™ Thermo-Urn™ was originally introduced in 2010 as the largest vacuum insulated vessel to keep up to 5 gallons of coffee hot and fresh for over 6 hours, without the use of electricity or chafing fuel. Now with the addition of a new style base, they coordinate better with more ornate or traditional styles. The new design is also 70% lighter in weight, drastically lessening the load when transporting the unit. 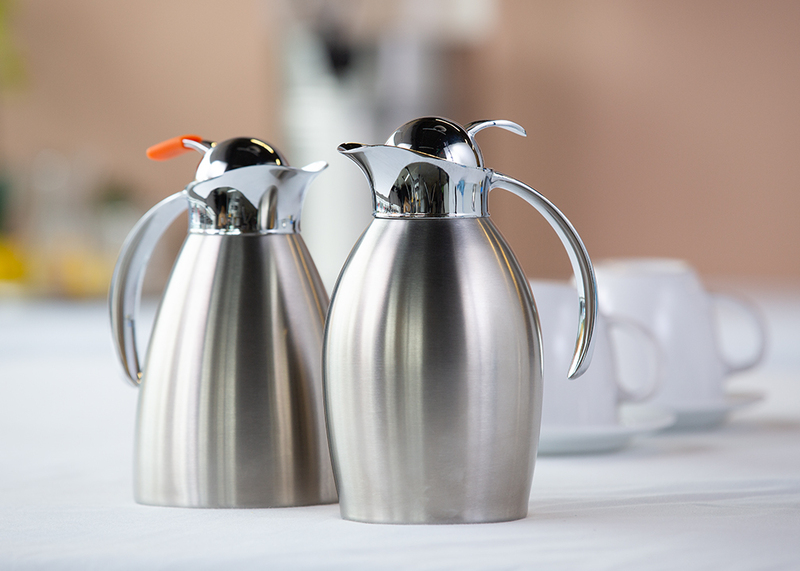 Love the elegance of our 981 & 981 Carafes but not a fan of the flip-top lid? Now you can have the elegant look of these carafes and the performance of a push button lid with our new 981 & 981 Push Button Carafes. This elegant server has the same vacuum insulation to keep contents hot for 4–6 hours, and now with the push button lid, you can have an even more controlled pour during table service. Download the spec sheet here for more details. 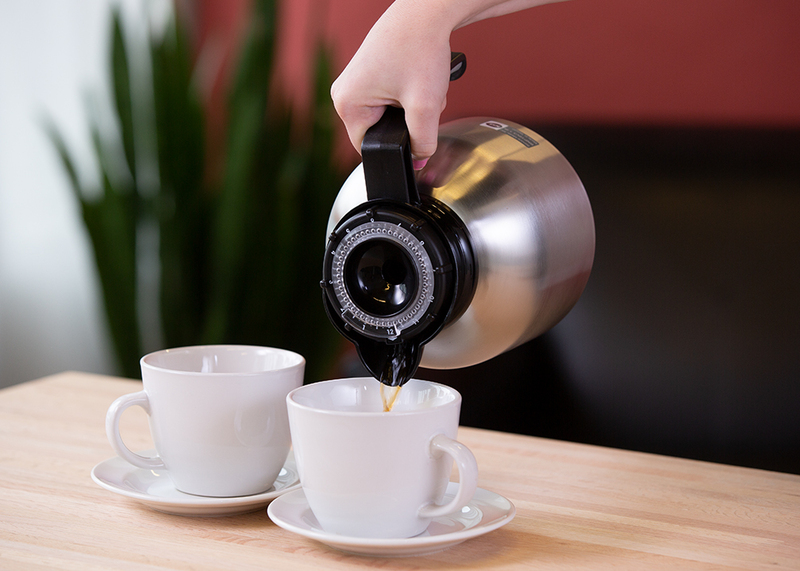 Never question the freshness of your coffee again with the new Clock Dial Lid on our Brew 'N' Pour® Carafes. Just turn the dial to the time the pot was brewed to keep track. It's that easy to serve hot and fresh coffee! In addition to the new and improved lid, you can expect the same great features from the original model including high-quality stainless vacuum insulation for 4–6 hours of hot coffee, and an ergonomic handle for a comfortable pour. And just as before, this model is NSF listed that guarantees safe use in commercial applications. Download the spec sheet for the new Brew 'N' Pour here. Last year, we introduced our Double Wall Party Tub—a large beverage tub that can keep almost an entire case of beer chilled without sweating and creating a messy puddle behind. Now you can enjoy the same condensation free design on a smaller scale with the Personal Party Tub. This new size is perfect for sharing a six pack of beer or a couple bottles of champagne between friends. Download the 2019 catalog to learn more about all of these new products!